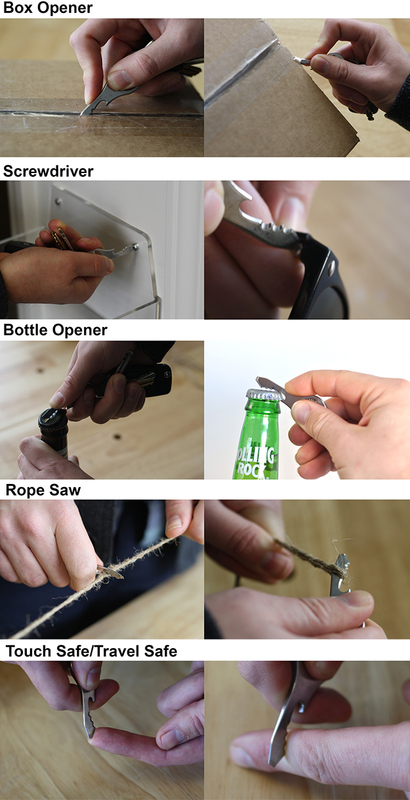 Columbus, Ohio-based inventor Chris Hawker of Trident Design has created the Quickey Multi-Tool, a clever and super handy little key that will open pretty much everything but a door. The Quickey easily slips onto your key chain, which is nice so that you know it will always be by your side. Chris is currently raising funds via an Indiegogo crowdfunding campaign to help with production costs and supporter perks. 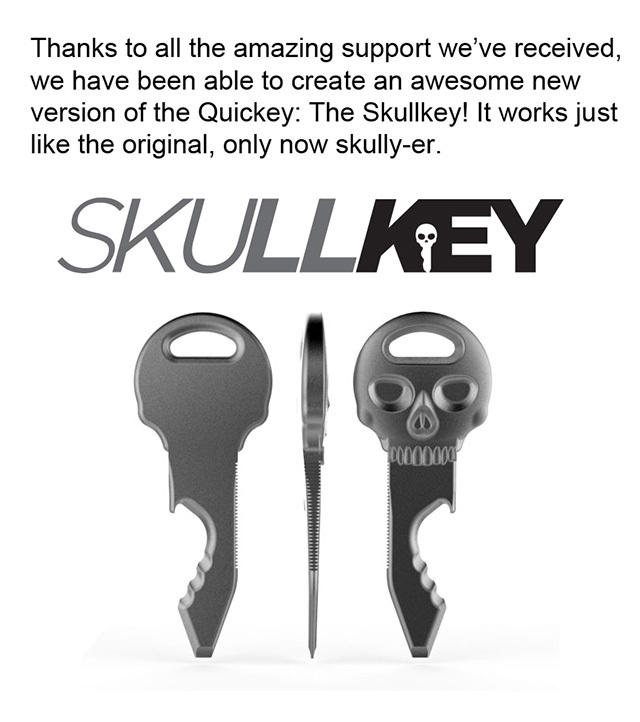 Due to the quick success of their Indiegogo campaign, they also decided to release an awesome SkullKey version of the multi-tool. Trident Design has thought up and created many great products in the past, including the PowerSquid surge protector and outlet multiplier. The Quickey is a simple, yet highly functional product that was born out of necessity. I was always using my keys to open boxes and mail, but it never worked very well. I saw an opportunity! 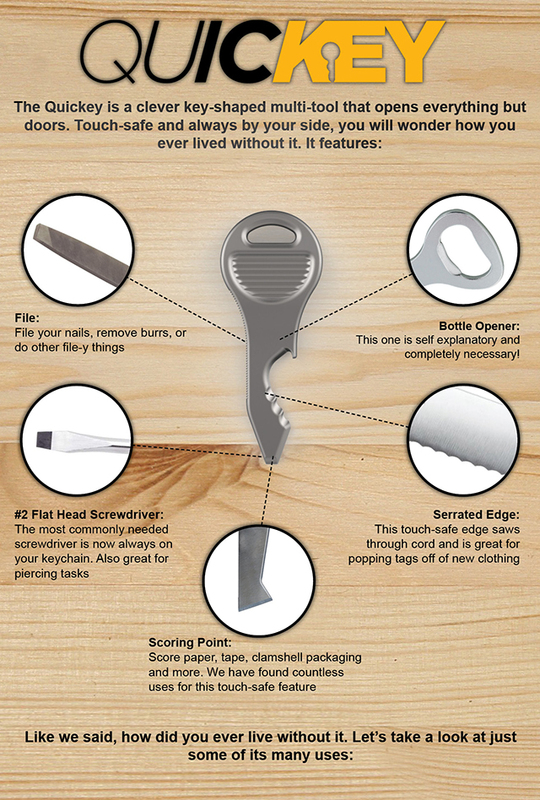 I brought the idea of a key-shaped box-opener to my team of designers and we came up with a versatile tool that is really something special.